Amir Sarkhosh of Iran won the title when he fought off a spirited performance from Thanawat Tirapongpaiboon of Thailand to triumph 7-6 in the final inaugural Qatar 6Red World Cup 2019 held at QBSF Academy in Doha. Thanawat was on fire and soon he was leading 3-1 with a classy break of 67 points in fourth frame. Though Amir responded with break of 50 to cut the deficit but Thanawat confidently moved ahead and sent another contribution of 68 points break to maintain his lead. Even after that, Thanawat also won one more frame to take his lead to 5-2 but after that he lost couple of frames which he could have won. Losses in those frames gave a chance to Amir and he started getting good control over the game and move ahead to 6-5. Thanawat once again bounced back with a frame win to set decider but couldn’t do much in last and Amir capitalized with few classy shots to win 7-6. Amir expressed his joy on winning the title and said that he is happy with he performed. 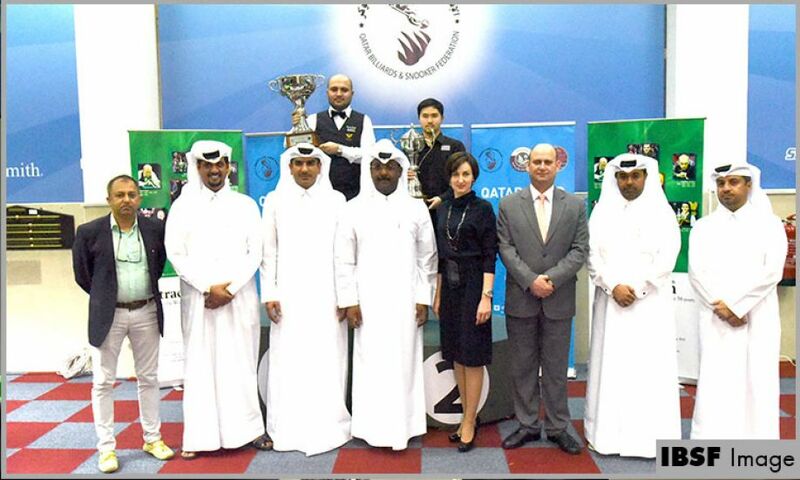 He thanked the IBSF and QBSF for hosting such a wonderful tournament. Thanawat also admitted that he was feeling winning pressure that resulted in losing multiple frames and he lost at last.